While personally they don’t tickle my fancy I know how much all you kids love the Beatles so I’m sure you’ll all be excited to know that Beatlemore/SkidMania will return once again this year. “Abby Road” will be the theme of this year’s concert with performances slated from a gaggle of Acapella groups, Gung Ho and the Rust Brothers—a band featuring members of the Skidmore faculty. This show is often one of the most well attended events on campus so I suggest you show up early–maybe even tailgate. 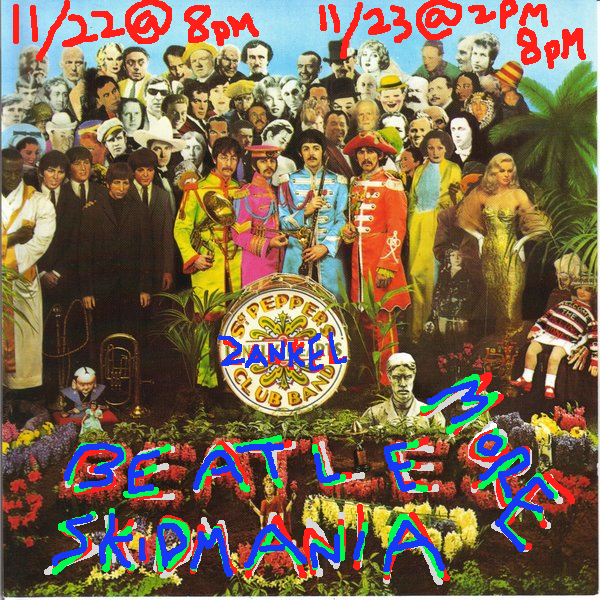 the show starts at 3pm but the doors will open at 2pm and they are expected to go quickly, but if you don’t get in you could always just play some Beatles RockBand. For a tentative full schedule clicky here.